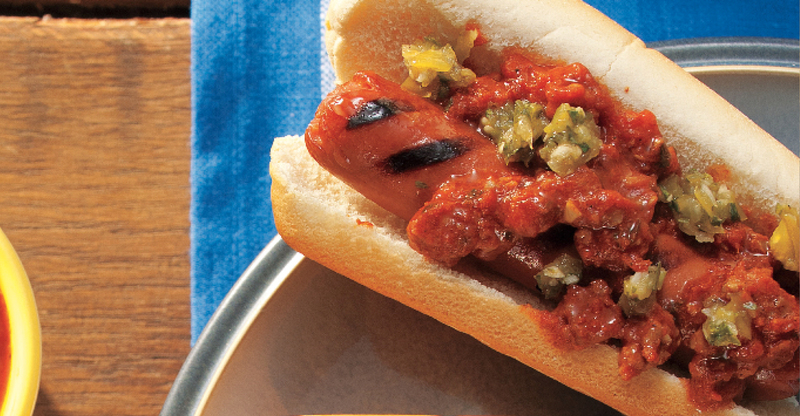 We’ve taken these classics and created our own versions of dressed-up hot dogs. 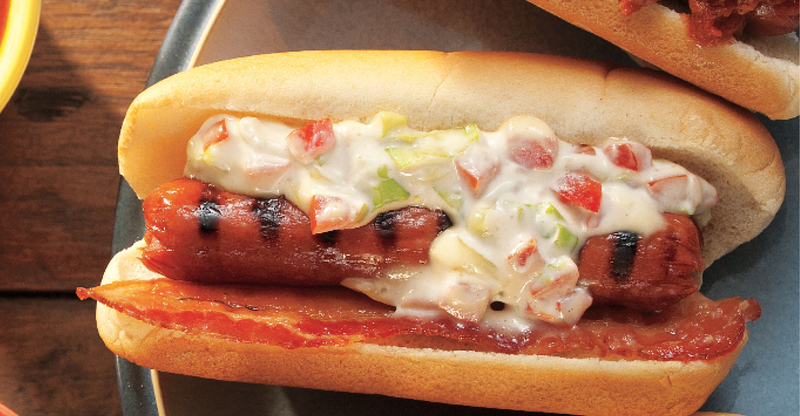 Each of these three hot dog recipes from Schnucks adds a fun and flavorful twist that is sure to bring some excitement to your summer! In large skillet, cook sausage over medium-high heat for 5 minutes, or until browned, breaking up sausage with side of spoon. Stir in garlic, chili powder, oregano, cumin and pepper. Cook 1 minute, stirring continuously. Add tomato sauce and water. Reduce heat to low and cook 6 minutes or until mixture thickens, stirring occasionally. Meawhile, grill hot dogs. Place grilled hot dogs in buns and top with ¼ cup chorizo mixture. Garnished with banana peppers, yellow mustard, Swiss cheese and a pickle, this Cubano dog quickly became one of our favorites! Spread 2 tsp mustard on cut side of buns. Place one slice of cheese inside each bun and top with grilled hot dog. 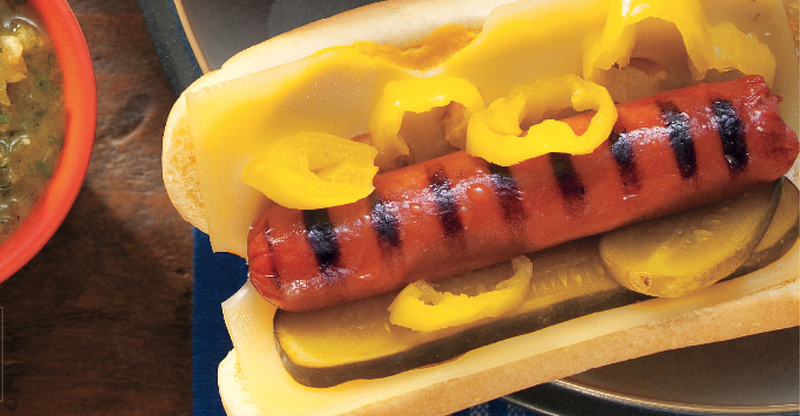 Top each hot dog with 1½ slices pickle and sprinkle with 6-8 banana peppers.